Please review updated pricing and dates open for 2019. Reservations for 2019 can be made starting April 1, 2019 by phone at 573-996-7961. KC’s on the Current welcomes you to Doniphan and the beautiful Current River in southern Missouri’s picturesque Ozark foothills. Nothing compares to its cool, clear, clean waters on a hot summer afternoon. 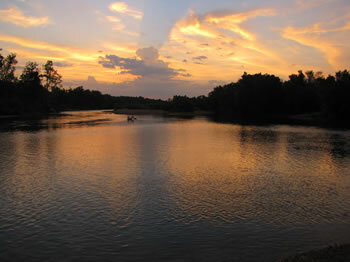 The Current River near Doniphan flows lazily and is ideal for floating in a raft, tube, canoe, or kayak; even for beginners. 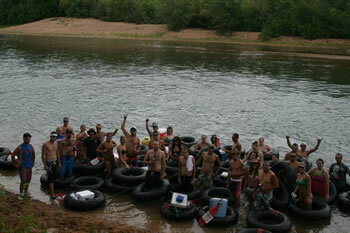 All of our float trips originate at our store and include free shuttle service up river to the put in spot. 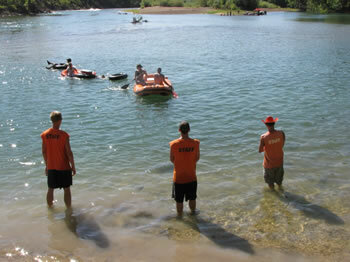 We offer 3 different float trips including 3-4 hour, 5-6 hour, and 8-9 hour floats. However, you can take your time and spend the day leisurely floating and picnicking along the way at one of our many gravel bars. Our convenient takeout is located at our full service campground. It’s just a short walk back to your campsite (click here for map) or catch a ride back to your car parked at our store -- no waiting! Doniphan Missouri is centrally located and ideal for a day trip from Eastern Missouri, Southern Illinois, Western Kentucky, Western Tennessee, and Northeast Arkansas. Or pack your bags and stay the weekend at our full service campground with RV sites, tent sites with water and electric. What better way to spend your weekend than camping and floating on the beautiful Current River with your family and friends. We offer group discounts for church groups, scout troops, family reunions, even large groups of your buddies. Please call KC's at 573-996-7961 for more information and to make group reservations. 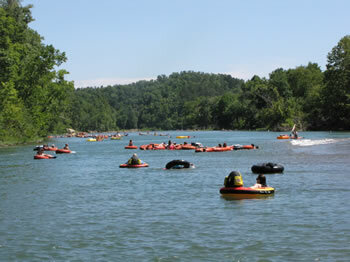 Last float trip is at 2:00 pm daily! Floating closed on Monday, Tuesday and Wednesday.